It has been a busy start to 2018 with exciting changes taking place to the SI board that will see a new structure taking shape, more aligned with the SI mission, purpose and priorities. Sharon Fisher is announced as the new SI President Elect, commencing 1 January, bringing a wealth of experience gained though her recent SI roles, including Chair of the SI President’s Appeal, Educate to Lead: Nepal, and SI Assistant International Director of Advocacy, 2015-2017. 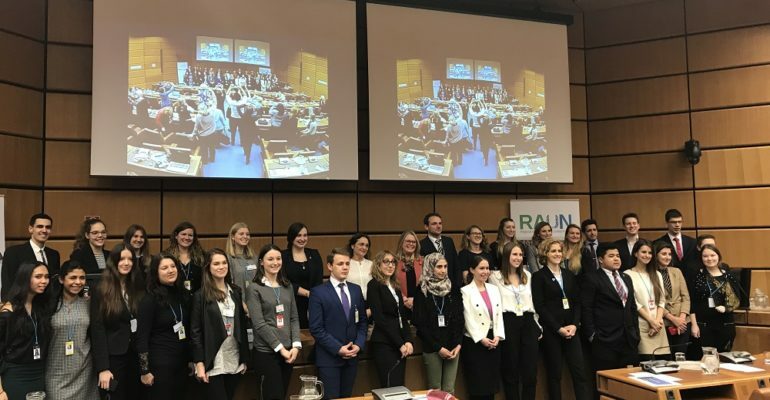 In January I visited the Academic Council on the United Nations System (ACUNS) annual conference, held in Vienna and spoke at the meeting, discussing actions, potentials, and challenges linked to SDG 5: ‘Achieve gender equality and empower all women and girls’. Wherever I have the opportunity to speak, I advocate for gender equality and the empowerment of women and girls, particularly in relation to the water sector and the important role women play. And this is what I did at the UN in Vienna, particularly as there were so many young women under 25 years old. I explained that SI understands that achieving the 17 Sustainable Development Goals by 2030 requires working in a transformative way and taking affirmative action. Each goal is interlinked and interdependent, and SI recognise the special relationship between SDG 4 – Quality Education, SDG 5 – Gender Equality, and SDG 6 – Clean Water and Sanitation. 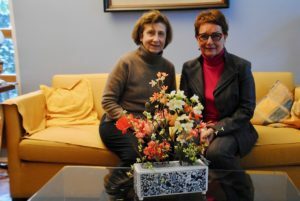 This month, we say a fond farewell to Dora Vrdlovec, SI United Nations Representative in Vienna. Dora has worked passionately for SI, advocating on behalf of women and girls, and is now moving on to other roles. We would like to wish her the very best and sincerely thank her for her inspired work and dedication to the organisation, its mission and its goals. 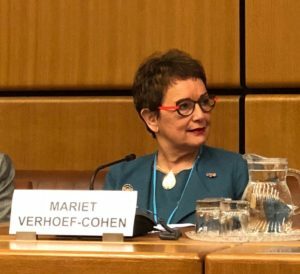 Dora, thanks and it has been a pleasure working with you through the years, you had your own way to make SI visible at the UN in Vienna and we will all miss you. This week saw the International Day of Zero Tolerance to FGM – a prominent and moving global issue that is expertly addressed in a blog written by Dr Nina Smart, a Soroptimist from Camino Real Region, California. As we move one step closer to the sixty-second session of the Commission on the Status of Women (CSW), which is set to take place at the United Nations Headquarters in New York from 12 to 23 March 2018, a Soroptimist delegation is getting prepared to join representatives from all over the world. SI will be hosting the first in a two-part webinar series, intended to inform and inspire Soroptimists in the run up to CSW62. Past SI Programme Director, Hilary Ratcliffe and Past SI Director of Advocacy, Pat Black, will deliver the first webinar, ‘CSW – An Introduction’ on 18 February, giving a thorough overview of the Commission on the Status of Women. If you are making your way to CSW this year, or simply want to be more informed of SI’s advocacy work, you can click on the link below to find out more. And if you are not going to New York, please follow our events on Twitter, Facebook and our SI Website where you will find blogs and messages. After the CSW62 I will join the World Water Forum 8 in Brazil where SI together with SI Brazil and WfWP will advocate and lobby to implement SDGs 5 Gender Equality and 6 Water. There is a need for a change in the mind-set to view women as agents of change rather than as victims, vulnerable groups or only beneficiaries. Due to their experience with water, women have tangible knowledge of water management: women are experts, leaders and agents of change in achieving access to water and sanitation for all. Let’s not forget that if we join hands we will achieve gender equality in the world. So, an energetic start for all, particularly for our staff having to move HQ offices to a different location in Cambridge. The new SI Board with 11 Directors is in full swing and you can meet them on the People Page of our site.